And to what point should we uphold a standard of honesty? Today I want to talk about honesty and lying. I will be speaking from the standpoint of the Bible. But if you aren't a believer, this will still apply to you - because these are life qualities that affect EVERYONE'S lives. I must say I have very complicated thoughts on this. Some may think they are confusing. But they aren't - in my mind everything I am about to say makes very much sense, and even together - just a complex arrangement of frayed consequences. First, I believe God hates lies (Proverbs 19:22, Ephesians 4:29). And He even commands us to not lie (Leviticus 19:11). But all that being said the Bible also tells us to love. I'm a strong advocate for truth - absolute truth. Yet I believe that contradictions can work together harmoniously - I'm not saying sin and righteousness can coexist but that our minds can't comprehend the fullness of God's ways. I believe in helping others, even if the process hurts. But I do not believe in hurting others without the intention of growth or change. I do not believe in torment - honesty lacking encouragement. So many of us say we are blunt, honest individuals but we are not so out of good intentions. And this is what I want to write about today - using our words in the way God commanded us to. I want to take a break and share a story that has always bothered me. The story of Corrie Ten Boom's sisters, Nollie and her daughter..
How can you idolize something good, you may ask? Something God created? In the very same way one can idolize the sun, the moon, marriage, family, and so on. All things God created or established are good - yet none are to be worshiped. Betsy was so devoted to her own conscious - and more so in never telling a lie. I'm not saying she was sinning - only God knows her heart. I'm not even saying that she completely did wrong by revealing where the Jews were hiding. I'm simply saying that this story bothers me because I feel this high of a reverence for honesty is wrong and against the Bible - the greatest commandment is to love God and His son and people. Yes, a miracle was worked in this instance and no one was hurt. And though we can argue that she was stupid to tell the truth, we can argue that being stupid for God is not wrong at all. But we need to be very wary of using this story as further proof to idolize the belief, "Always be honest" because of the following reasons. 1. It's not a scriptural story, but a testimony. Thus as we can learn from it we may not adapt to it or follow it. 3. And in my opinion, the most important reason is this: to not use a story to idolize a lesser commandment over the greater one - love. It's not wrong to remain silent if the truth causes harm. God does not ask us to do wrong. We are not to follow our own convictions over God's plans. I will even argue at times it's not wrong to tell a lie if it will benefit another, showing the love that God commands us to show. From what I have studied, the commandment to not lie is a bit construed and taken out of context by many. Most of the time when one lies they are doing so out of selfish motives or to hurt another. This is ALWAYS wrong and an ABOMINATION in God's eyes. But to protect another, as we trust God, is not wrong. Sometimes part of protecting someone will involve: lying, killing (defense), stealing (think spy work), breaking the Sabbath day, kidnapping (rescuing someone by taking them out of their direct authority), and so on. I want to put an emphasis on this: if lying was 100% wrong, then so would be warfare, spy work, trickery, sarcasm, and joking. Some of these may sound silly - but following the logic of being completely honest only brings one to this conclusion. In a perfect world war would be sin and prohibited. But we do not live in a perfect world, do we? To be so adamant to your personal conscious that you can not heed the most important calling, to love, is wrong. Whether this puts another in harm's way, or even is simply telling someone "Just what you think of them" causing them unnecessary pain is wrong. 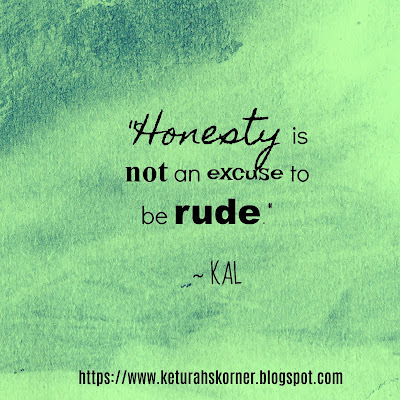 It is wrong to be honest for the sake of honesty. And you shall love the Lord your God with all your heart, with all your soul, with all your mind, and with all your strength.’ This is the first commandment. And the second, like it, is this: ‘You shall love your neighbor as yourself.’ There is no other commandment greater than these. Wait - "but we aren't to never break God's commandments?" I'd like to ask you, "But what about the commandments your don't keep?" Why do we get to pick and choose which of God's commandments are worthy enough to continue keeping? How is lying put on a pedestal of its own, next to adultery and stealing, yet using God's name wrongly or disliking the "unworthy" is OK??? Why do we become so focused on our own understanding? More true to our self-made conscious than loving God and humanity? Evoking false guilt over matters of lesser importance?? I am not saying, "Lie." I am saying, "Love first and everything else will follow according to circumstances and what is right." This is what the Bible says. Meaning, the majority of the time love will be proven through truth. But at other times like the midwives who saved many Jewish baby boys, Rahab, and David's wife Michel we will have to protect what's good with a lie. And this is not wrong - or sinning against God. It is the way of an imperfect world, a world where there are few absolute truths with out exceptions, one being "Love all." I do agree with this...it's easy to go wrong on that alley but you explained it very well. I like how you used the concept of love and the Corrie Ten Boom example. Powerful illustrations. It is easy to go wrong down this alley, as you say. Many would be like... "Oh, so it's OK to lie then. Great!" But it's not that simple ;) Thank you! 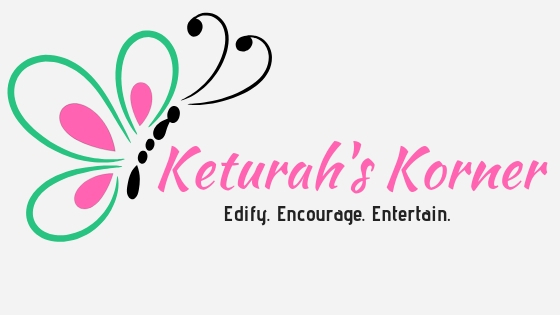 I like how you approached this topic, Keturah. It definitely set me thinking, as I tend to be a rather blunt and honest person myself. Betsy's case is a gray one, because the Nazis clearly intended evil and didn't have a right to know where the Jews were. I personally think that Betsy was extremely gutsy to tell the truth. There is some times when evasion tactics can be used justly, and this may be one of them. Warfare, if it is for a just cause, is not sinful, as well as defense (if someone's life is in danger). However, most wars tend to crop up for unjust reasons, which makes that war wrong. It also has been said that war is used for punishment of sin. Victory is the undisputed goal, but the means to gain it must also be examined. For example, we view that the atomic bomb, despite the fact it gained us victory without shedding hundreds of thousands of casualties, was immoral because it destroyed the lives of innocent civilians. So if deception is used, it must be examined extremely closely to see if it is just or not. Espionage has no defined stance, and must be taken case by case. Because both the means and the end must be considered, it's a very sketchy and gray area for scholars and theologians. Joking, unless done in a cruel way, isn't deceptive, because it isn't intended to deceive but to make fun. Modern Catholic theologians still struggle with a lot of these same issues, which is why we need to study tradition and the commandments much further. Ideally, we should not break the Lord's commandments at all. We are, of course, of a fallen nature, which tends to complicate matters. We are called to try to perfect ourselves as much as possible, attaining all the virtues which include honesty and prudence. First, I really love your well thought out comment! This is such a deep, never ending topic! Which is why it's so fascinating. I agree with most of everything you said. This is a very much grey topic, something to be considered scenario by scenario, further examining ourselves before God. It's just so much bigger than simple "This is the way things are." I will admit I love sarcasm... so your point on sarcasm has me thinking. Also, I'm having a hard time remembering who said the story now... I originally said Betsy. Then two friends told me it was Nollie. I searched online and found both names linked to the story. It's been forever since I read the book... I guess it's the story that's always bugged me, not who said it ;) Just for anyone else out there wondering which ten boom woman it was... I honestly can't remember without reading the book again, as google isn't being helpful. You've welcome! And it is true that this is a deep topic. But, we will never know all the mysteries of the Divine. I'm glad that He is the judge and not me! I love a good dose of sarcasm too, but I have seen it used to humiliate and deceive people. There have been instances where I'm being serious about something and someone gives me a sarcastic response - I can't say that I took that very well. Sarcasm can also be hard to distinguish in both speech and writing. I'm all for dry humor, but not when it's malicious or deceptive or mean. When sarcasm is used as you just said I don't really consider that sarcasm. That's malice and insults disguised as sarcasm, and isn't loving at all. To me sarcasm is wit. It's fun banter. Also there are different levels of sarcasm depending on your intimacy with that person. The way I tease my siblings/ friends could very well be rude or mean if done toward someone I don't know very well. But with those I know it's a sign of love of humor. It's definitely not right to be sarcastic toward another when discussing something important, as your example said. Ahh, I think I agree with you a lot on this. Lying is definitely a sin but sometimes you need to hide people (in the case of persecution). I believe that one would not be doing wrong if they were hiding the Jews (or other persecuted groups). I guess the woman who revealed the location really couldn't bear to deal with cognitive dissonance. I also feel a little disappointed about what she did but cannot judge her. After all, I've never been in such a dangerous position in my life. It was certainly a tricky situation. Some of these issues are really hard to come to terms with in our minds ;) Thanks for reading and commenting! This post is really quite profound, something I've definitely considered myself upon multiple occasions. I think... I agree with you. The first commandment is always to love and I think when we start with that, the other commandments begin to fall into place where God always planned for them to. God's bigger than us, He's wiser than us, He knows where all of these seemingly contradictory ideas fall into place, and when we follow His love, we start to see it too. Love hearing your thoughts as always! You explained this brilliantly!